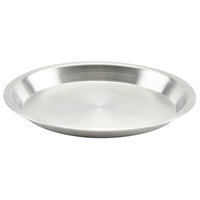 Use 10 inch pie pans at your bakery, café, or restaurant to create delicious pies or tarts. 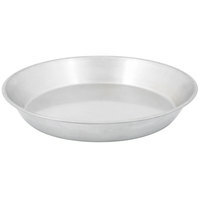 Choose from strong and durable aluminum or stainless steel pie pans that are made for high-volume commercial use and designed to last a long time. 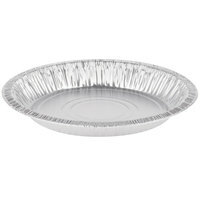 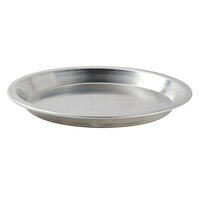 Metal pie pans conduct heat efficiently and evenly to ensure a consistent bake on the pie's crust. 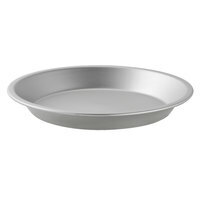 10 inch pie pans are a little wider than typical pie pans, allowing you to create thinner pies with large surface areas for decorating. 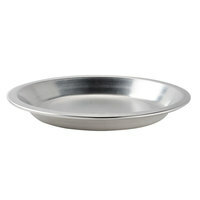 Some of these pans come in deep dish designs so you can create deep apple pies or savory shepherd's pies.